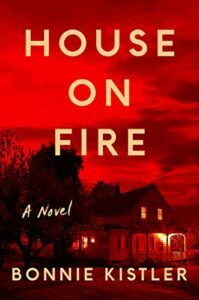 Call Me Evie and House on Fire are both books that are on my On the Fence About list. Mysteries with nothing really gory in them are, I guess, slightly hard to come by. YA and Adult mystery books have a lot more violence these days than something classic like Nancy Drew. Accused by Lisa Scottoline. I don’t think there is anything gory in it or anybody dying during the story. It’s part of a series if you enjoy it. Two Can Keep a Secret by Karen M. McManus. I just finished reading this and it’s a great mystery. No death scenes or unnecessary violence (a character dies, but the MC wasn’t there and didn’t get any details). The Vanishing Year by Kate Moretti. Just finished this one as well and no character deaths during the story. Hope you enjoy and let me know what you think if you read them! My TTT. Yay, thank you! I’m going to be trying to find copies of all of those books. I’ll let you know what I think of them if/when I can get my hands on them. Great list! I don’t think I’ve heard of any of these so I’ll have to check them out. I don’t read many thrillers but I’m with you in terms of hating how many thrillers feature violence against women – I’d love to see more art heist thrillers than murder thrillers. I always subject any thriller I read to what I call the ‘Dead Girl Test’ – if the protagonist (who’s usually the person investigating the crime) sees the corpse of a dead woman and describes her as beautiful, it immediately fails the test. I’m really bored of writers romanticising dead girls. House on Fire is the one that most interests me and boy how it could go wrong! Let’s hope for the best! Thanks so much for the Finding Wonderland visit. You’re quite welcome. And thanks! Heh, I might have to go back to Nancy Drew. I agree, a lot of modern mysteries often walk a fine line between mystery and horror. I usually only read cozy mysteries for that reason; they might be less intense (which I sometimes miss), but they’re also going to be a lot less gory. Ooh, cozy mysteries are a good idea. Are there any particular ones you’d recommend? “…gruesome crimes, especially since they seem to happen to young women in so many tales.” Yes! It’s become a trope and a cop-out ending. I don’t know if writers are getting lazy or feel pressured to deliver the resolution in this way, but I’m wary of mysteries too. It’s the reason I have mixed feelings on Jane Harper’s novels (otherwise well-done), I’m torn on reading today’s new release. You selected some compelling covers, of yours–I’m most interested in The Blameless Dead, I can handle violence and gore in extreme circumstances such as WWII, and I’m curious about the serial killer connection. I don’t read a lot of mysteries but I recommend Kate Morton,usually her female characters find redemption. I hope these don’t let you down. I’ll look Kate Morton up. Thank you very much for the recommendation! I hope you enjoy The Blameless Dead. I don’t read a whole lot of mystery either. Don’t really know why. I can agree with you on the excessive violence. That can be a turn-off. I’m not a fan of the those tropes like the red herring and the “old switcheroo” myself. But I’m always on the lookout for good books, regardless of genre. I hear you there! And there are so many good books out there. I really like the cover on The Blameless Dead. Oh goodness… I haven’t heard of many of these but some sound interesting! I hope that if you read any, they will be good reads for you! 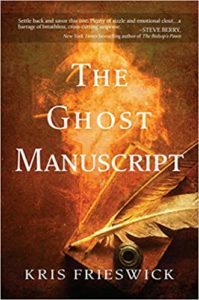 The premise of The Ghost Manuscript sounded promising, but one of the Goodreads reviews provided a spoiler that completely put me off the book. I’m afraid I can’t help you decide on the rest of them, though. Most of the mysteries I read are either historicals, cozies, or classic/Golden Age in flavor (even if they were written recently.) One contemporary mystery author I enjoy is Deborah Crombie; the first book in her Kincaid and James series was OK, but beginning with book 2, they got really good. 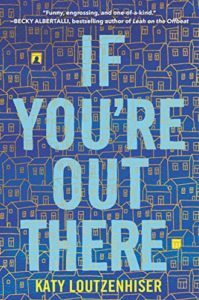 She writes British mysteries; they’re technically police procedurals because both detectives are police, but they have a depth and emotional sensitivity that you rarely find that genre, and the plots are really well done. Oh, that’s awful. I hate it when that happens. Deborah Crombie sounds like an amazing writer. Thank you for the recommendation. I’ll definitely check her out. These are all new to me! I like the look of The Promise. Cool. Hope you like it. YES! I’m on the fence on the Escape Room, too. Mostly, because I love them in real life and don’t want to be disappointed. These all look new to me but I hope you love them if you end up picking any of them up 🙂 Happy reading! I actually haven’t heard of any of these, but The Ghost Manuscript and The Blameless Dead look/sound great. I’ll have to do some more research see if I’d like them. Cool. I hope you enjoy them. 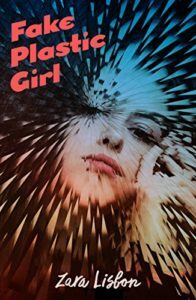 Okay, I just added FAKE PLASTIC GIRL to my TBR!! It sounds perfect for me. I have CALL ME EVIE and IF YOU’RE OUT THERE on my TBR already. I love mysteries though! 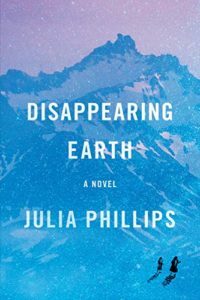 The Disappearing Earth grabbed my interest because of the setting. I speak some Russian and go to a Russian meetup group, so anything Russian has some of my interest. I can understand your aversion to gore. It’s why I often avoid many modern horror movies. You might want to check out more cozy mysteries. I haven’t read much of them, but they seem to focus more on the mystery than the gruesomeness of the crime. I will have to do just that. Cozy mysteries seem way more my speed. And, yeah, modern horror movies can often be pretty gory! I like mysteries and thrillers that aren’t too gruesome, as a general rule. So I’m with you there. I do like suspense and tension but not so much horror or goriness. I can attest to cozies a little- I’ve read a few and while most aren’t really my thing, I’ve read a few that I really enjoyed! An Unwanted Guest by shari Lapena was a recent mystery that I liked. Of the ones you listed The escape Room is one that caught my eye. I’ll look An Unwanted Guest up. Thanks for the recommendation! Okay, I’m adding Ghost manuscript on my TBR. I’m curious. Cool. I hope you like it. I have loved mysteries since I was a kid and they are still some of my favorites. 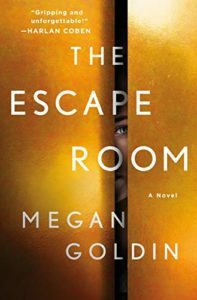 Even though a subset of the genre, I consider thrillers–especially psychological thrillers–very different from a standard mystery. They are meant to scare you. Someone earlier mentioned cozy mysteries and police procedurals as options. I would suggest those as well. Cozies don’t usually feature all that graphic violence and police procedurals can also focus on the lives of law enforcement. One other way to look at it is this: usually your main character doesn’t die. Consider how cunning, smart, and inspiring it is when she gets out of danger or solves the crime. Then, maybe, you can view it as more empowering. That’s a good way of looking at it. And I am definitely going to see what sorts of cozy mysteries I can find. Thanks. Thank you. I hope you like The Escape Room. 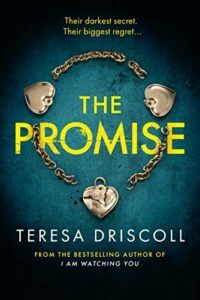 I am so intrigued by The Promise — I love the potential in the womens’ relationship and I want to see how it all pans out. I sure hope you’ll enjoy it. It does sound interesting. 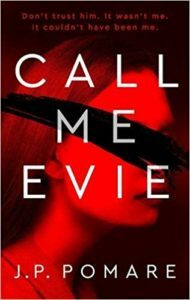 I haven’t heard of any of these except for Call me Evie but they’ve got such eye-catching covers, I’ll have to have a look into some of them. Admittedly, I don’t read that many mystery novels these days. I should change that though because I do enjoy them. I’m okay with gruesome crimes as long as the plot uses it in an interesting and twisty way – not just for the sake of it or shock value. I hope you find a couple that appeal to you. I haven’t read/heard of any of these but that’s not surprising as I don’t really read mysteries or thrillers much. I prefer to read Romantic Suspense i.e. 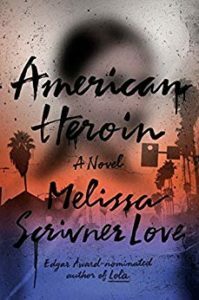 romance with a side of suspense or thrill or mystery, and these aren’t very heavy or intense on gore, but are about the main characters finding love in tough/dangerous situations. That makes sense. I hadn’t thought of that option! I haven’t tried any of these yet, but I do have an ARC of The Escape Room that I plan to read soon so we’ll see how that one goes. Cool! I hope it’s wonderful. I’m actually not familiar with any of these but some of the covers definitely pique my interest! That’s wonderful. I hope you like them. I have The Promise on pre-order, I’m VERY excited for its release this week!!! Cool! I hope you love it. I don’t actually know any of these, but The Escape Room sounds kind of interesting! I hope you like it if you read it. Disappearing Earth sounds intense! But interesting, I might have to put it on my TBR later this year. I hope these live up to your expectations!! 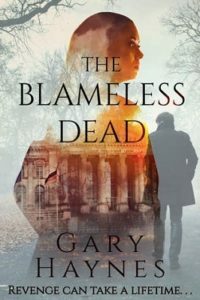 I hadn’t heard of any of these but I’d like to know what you think of The Ghost Manuscript and The Blameless Dead their titles kind of capture me! Thank you very much. Glad to hear that House on Fire appeals to you. I hope you like it. I think I heard about The Escape Room somewhere before. It would make an interesting read, I think but I don’t really read mystery all that much. Sometimes they just really freak me out? Like people with absolutely no magic powers or any skills that might help them, need to survive a horrible situation? Hello anxiety. I hope you enjoy these reads if you decide to pick any of them up! Yeah, I totally get what you’re saying there. I have the same reaction. And thanks. I don’t read many mysteries and the few I have read have been either wildly disappointing or just kind of average, so I never feel very inspired to pick any up. The only one on this list that I’ve even heard of is Call Me Evie so, unfortunately, I can’t tell you if any of them are worth reading. But I hope you enjoy them if you do decide to give any of them a chance! I have the same thoughts about mystery genre too. I enjoy reading mystery books every bow and then but I don’t pick them up as my first choices. Great post and a great list of books all these books are new to me I do love mystery books but the mystery books that I read do have a lot of violence and gore in them which I can totally understand why some readers don’t like that in books. Thank you so much for stopping by my TTT post. You’re welcome. If you ever run across non-gory mysteries, I’d sure like to know about it. I’m glad you enjoyed If You’re Out There. Hopefully, you’ll also like Disappearing Earth. I haven’t actually heard about any of these books before. Mystery/crime isn’t really my genre either though I’ll read one every now and then. Cool. What genres do you read most often? If You’re Out There isn’t gory at all! It’s lighter than most thrillers and lands in the contemporary fiction pile more than thriller. That’s really good to know. Thank you. I hope you like If You’re Out There.